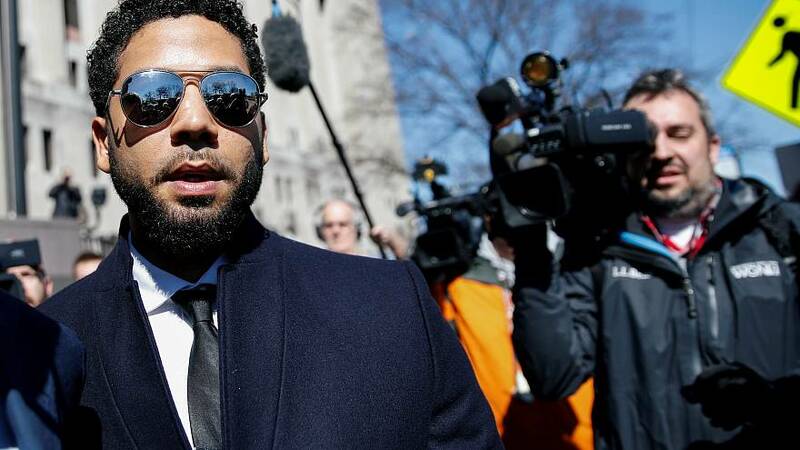 Chicago police and City Hall slammed prosecutors and Jussie Smollett on Tuesday after all charges were dropped against the "Empire" actor. "From top to bottom this is not on the level," Mayor Rahm Emanuel said. "At the end of the day, it's Mr. Smollett that committed this false claim." Chicago prosecutors on Tuesday dropped all charges against Smollett just weeks after he was indicted on 16 felony counts for allegedly filing a false police report that he was attacked by two men who shouted racial and homophobic slurs. "This is a whitewash of justice," Emanuel said. Police Superintendent Eddie Johnson said the department was blindsided by the Cook County State's Attorney's Office's decision to no longer press a case against Smollett for allegedly faking a hate-crime attack. While Johnson and Emanuel said they were mad at prosecutors, their harshest words were aimed at Smollett. "Is there no decency in this man?" Emanuel said. Smollett had told police on January 29 that he was beaten up by two masked men while he was out getting food in Chicago's Streeterville neighborhood. The actor, who is black and gay, said his attackers hurled racist and homophobic slurs before punching him, putting a noose around his neck and pouring what he said was bleach on him. Emanuel recalled his time in the Obama White House and his work to pass the anti-hate crime Matthew Shepard Act, named in honor of the gay man beaten to death in Wyoming. "Now this cast a shadow of whether they are telling the truth and he did this all in the name of self-promotion," the mayor said. Johnson noted "prosecutors have their discretion of course. We still have to work with the State Attorney's Office. Again, at the end of the day, it's Mr. Smollett who committed this hoax. Period."